A full analysis of all 19 finishers in the Aintree 2011 Grand National won by Ballabriggs at an SP of 14/1. Bet on this year’s race with our Grand National Betting guide! A stunning day weather wise for spectators at Aintree, but the unseasonably high temperatures, and the drying ground, produced a brutal 2011 Grand National. The race took its toll on the participants and resulted in a number of horses finishing dehydrated. Not surprisingly, the time of the race was well below standard, and very few horses got into the contest from off the pace. In fact, the eventual winner, BALLABRIGGS, led affairs for much of the way and saw of all comers to register an outstanding and extremely game victory. He jumped beautifully throughout with his only real mistake coming at Valentine’s on the second circuit. He lost his lead as a result and many may have thought that was his race run. However, he battled back to regain the lead soon after and despite facing several challengers on the run for home he wasn’t headed again. His win here further cemented the unique place of the McCain family in the Aintree record books and, provided this exhausting effort hasn’t left its toll, there is every reason to think he can come back next year and put up a decent defence of his crown. The most dangerous challenger to the winner turning for home appeared to be our selection for the race, Oscar Time, who was ridden by the all conquering amateur, Sam Waley-Colen. As with the winner, he was up with the pace throughout and barely put a foot wrong at the fences. He appeared to be travelling better than Ballabriggs jumping the last but was just outstayed in the final, gruelling run to the line. The underfoot conditions really suited him and his jumping is his most potent asset. Last year’s winner, Don’t Push It, ran his heart out in trying to become the first horse since Red Rum to register back to back National victories. He was 7lbs higher than for last year’s success and the extra weight took its toll. The performances of Don’t Push It in third and State Of Play, who finished fourth, showed once again that Aintree remains a place for course specialists. In fact, this was the third time State Of Play has finished in the first four in this great race and his trainer deserves tremendous credit for bringing this fragile chaser back year after year. 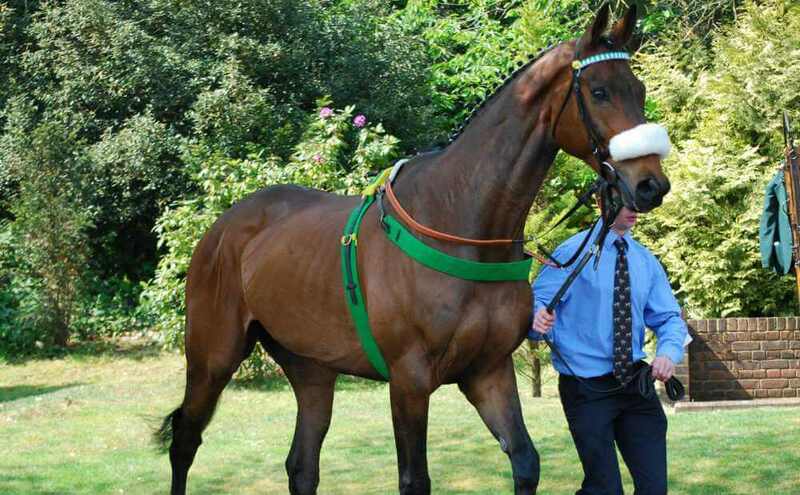 Remarkably, he has run only four times since December 2008, with three of those runs being in the National. Niche Market was another to relish the underfoot conditions. His effort finishing fifth justified his connections’ decision to lay him out for the race. However, he had everything in his favour and still didn’t quite stay the trip. Accordingly, he may struggle to better this performance if returning next season. By contrast, there is every reason to think that The Midnight Club, could better his sixth place. The worry going into the race was his jumping due partly to his relative lack of experience. But he actually took to these obstacles very well and was bang in contention when badly hampered four out. But for that, he would surely have been in the first three. He deserves to go on the shortlist for next year’s renewal. Big Fella Thanks ran another fine race here to finish seventh. Though, this effort surely proved that this marathon distance is beyond him. It would be no surprise if connections decided to focus on alternative targets next season. Surface To Air, who has been blighted by injuries in recent seasons, ran a stormer to finish eighth. This was a fine training performance given that the horse had shown nothing on his comeback run after nearly 3 years off. Skippers Brigg, who beat Ballabriggs last time out, was ninth and was another who didn’t quite stay the trip. Backstage (10th) and King Fontaine (11th) were amongst those who never got into the race. The latter, could be another to put on the shortlist for next year’s race. This year’s contest always looked like it would come early enough in his career. He remains a fine staying chase prospect and his owner (who also owns Ballabriggs) loves to target this race. He will need to brush up his jumping though. Of the other finishers, Silver by Nature (12th) and Bluesea Cracker (14th), would have preferred softer ground. In Compliance (13th) was prominent for a long way but didn’t see out the trip. Previous Cheltenham Festival winners Character Building (15th) and Chief Dan George (17th) were never in contention. Of the fallers, Killyglen was the unluckiest. He was in the front rank throughout, relishing his favoured underfoot conditions. He was still travelling well when coming to grief at the last ditch. West End Rocker seemed to have taken well to the fences before being brought down at Becher’s first time. Both are likely to try again next year. As his connections had feared, Tidal Bay was soon out the back. He made a bad mistake at the tenth which gave his jockey no chance. What A Friend fared slightly better, travelling well for a long way before tiring rapidly. He was pulled up before the final ditch. Quinz broke a blood vessel whilst, tragically, there were two equine fatalities. Ornais fell at the fourth and Dooneys Gate fell at Becher´s Brook on the first circuit. 3 other horses fell here which led to two fences being omitted on the second circuit for the first time in history. See the 2017 Grand National results here.